Thanks James Caan for taking time to talk to us. Can you please tell us more about your University time? James Caan: University was a great experience for me, especially the fact that I experienced it at age 42. It gave me an opportunity to know what I’d missed out on in my early years. I found the experience to be both inspiring and invaluable and would highly recommend to anybody. Why did you Seek out a career in this recruitment industry? 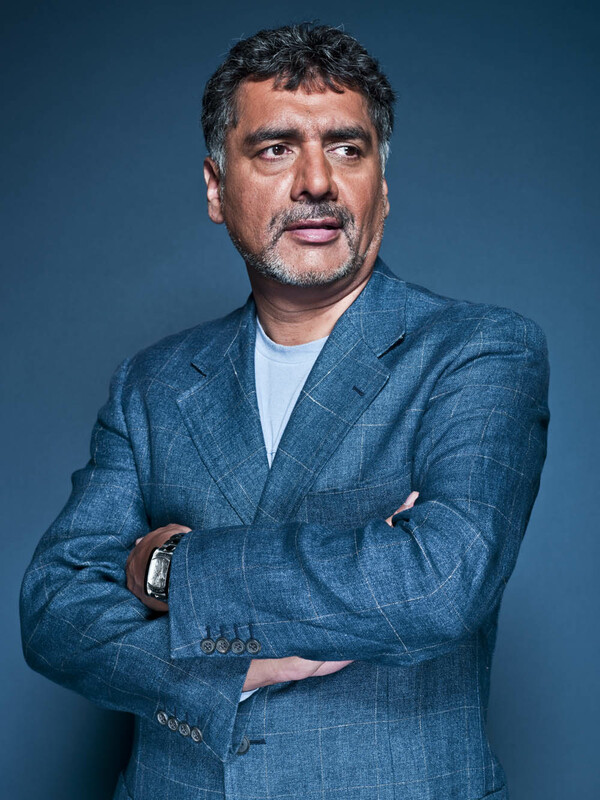 James Caan: I found recruitment an industry to be extremely interesting and challenging and loved interacting with people. As an international head hunter, it gave me the opportunity to meet smart people from all over the world. I found the role both stimulating and challenging as finding top talent for global organisations is like solving problems, even though at times it was like finding a needle in a haystack. Over time many of my clients and candidates became friends and during this period I also realised it was an incredibly lucrative industry for people who were dedicated and passionate about learning the art of recruitment. James Caan: I think my first lesson was learning that there is no substitute for hard work. In any business or career, one must understand and appreciate that industries constantly evolve and change, as an individual to get ahead we must embrace change. Success is rarely enjoyed as a direct result of your efforts, it is more often achieved through the collective efforts of many and therefore to succeed one must be a team player. Finally, through my early days of working life I realised that knowledge is power and that in any business or career that you may be involved with learning about your product, market, sector or customer is paramount if you are to be successful. In preparation for an interview the first thing I would always do is to make sure that I researched the company, i.e. its history, the product/service it offers, its key customers, key geographical territories that the business operates in, size and scale or the organisation and where appropriate downloading a set of the companies accounts as it is always useful to know the financial position of a company you may be joining. It is also very helpful to do some prior research on the person who will be interviewing you as this can be a great ice breaker when you have some knowledge about the individual. Fortunately, through social media, especially LinkedIn, it is quite easy to access information that allows you to be extremely well prepared. Think about the job you are applying for and identify specific synergies that you may have with the role as well as any relevant experience that you may have gained that makes you ideally suited for the role. Always demonstrate how you can add value and make a positive contribution to the role as ultimately the person who is interviewing you is trying to assess the same. Therefore, by trying to present your attributes and strengths it may position you well for the opportunity. The first book that springs to mind is ‘Get the job you really want’ by James Caan – it is a very insightful book and extremely useful when preparing for an interview. Things are changing very fast in the industry; how do you keep yourself updated. Please list techniques or newsletter, podcasts, events etc? I am an avid reader of industry publications, trade magazines, online portals, industry data produced by various organisations mapping trends on any changes within the industry. I am also particularly interested in how our sector is performing in other countries but most of my knowledge comes from my staff, my clients and most importantly my candidates. The ‘perfect CV’ is quite the enigma because there are so many differing options about what makes it ‘perfect’. On average, a potential employer will scan your CV for approximately six-eight seconds and in that time, they will decide if you’re worthy of an interview or not. This means you really need to make a great first impression. Forget the same old CV jargon – be concise and avoid overused buzzwords in your opening paragraph. A perfect CV for me outlines clearly and concisely relevant experience, where they can add value to the role and how they intend to go over and above expectations. A friend once told me to remember that every employer WANTS you to be the one. When an employer is reading your CV or interviewing you they WANT you to be great. They’re hoping the right CV will land on their desk, so this recruitment process can finish! Always be yourself. Having good, relevant experience is great. However, make sure the employer sees more of you than just your qualifications and your latest job role. Relax and be yourself to stand out from the crowd. Don’t let your nerves mask your personality – it’s good to be remembered. Research, research, research. Applying for a job implies that you are interested in the company’s work, and it’s extremely likely that they will ask you what you know about the business and why you want to work specifically for them. Therefore, it is important that you have a good answer prepared to show them how passionate you are about their work. Good communication is key. It plays an important role in the majority of jobs; showing the interviewer that your communication skills are excellent is a great way to get ahead of the game and give you an advantage. It may sound obvious but possessing good communication skills is essential in any role, and even more so at the interview stage. Being able to communicate appropriately, maintain good eye contact, demonstrate a varied vocabulary, tailor your language to your audience, listen and present your ideas effectively can be the difference between getting the job or not. Your communications skills are what ultimately make the lasting impression. Time management is an important quality and should never be underestimated. Arriving late can also give the impression that you always have poor time management and will be late to work every day, so leaving the house that bit earlier is worth it. Serial Entrepreneur, Philanthropist, CEO of Hamilton Bradshaw Private Equity, former Dragon, Founder of the James Caan Foundation & former Chairman of Start-Up Loans. He is best known as a former investor on the BBC television programme Dragons’ Den.More recently, he has hosted The Business Class on CNBC, a series which sees him joined by experts from a cross-section of industries to analyse and advise innovative UK small and medium enterprises.He is also Chairman of the UK Government’s Start Up Loans Scheme, which supports entrepreneurs with funding and mentoring to start their own business. Caan initially achieved success in the recruitment industry, founding the recruitment company Alexander Mann in 1985, which he sold in 2002. In 1993, he co-founded the executive head-hunting firm Humana International, in which he sold his stake in 1999. He is also the founder and current CEO of the UK-based private equity firm Hamilton Bradshaw.